Longtime readers of Headline Health know that I like to keep up with the latest news on pizza, a staple of good nutrition and one of the main structural foundations upon which western civilization was built. Although it has its humble origins in Italy, pizza has gone though many different incarnations and has been a vehicle for innovation that never ceases to amaze. Imagine being among the first to order a delivery pizza by phone, for example, from the local shop. Pizza producers spent much of their time over the last 10-15 years trying to figure out how to put more cheese in the product. Hence the stuffed crust. Recently, one of the chains began trying out a hot-dog-stuffed crust, which I believe is dangerously close to the edge of culinary indecency. Which brings us to the vending machine pizza, now on its way to the U.S. 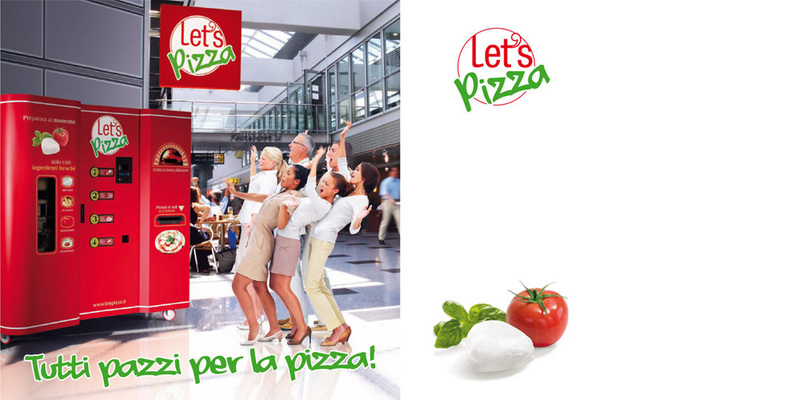 The brainchild of a European company called Let’s Pizza, it will bake a pizza from scratch in three minutes. The machine takes coins, bills and credit cards. After depositing your money, the machine prepares the dough, squirts sauce on it, puts on the cheese, and adds other items you may have selected before baking it in a 380-degree infrared oven. It then drops it into a box and delivers it through a pickup slot. A 10-inch pizza will cost $5.95, according to an article in the Los Angeles Times. Expect to see the machines at malls, gas stations, bus stations, convenience stores and wherever fine foods are sold. The Let’s Pizza people make a point out of cleanliness and one company video boasts that their pizzas are “untouched by human hands” and are in fact made in “a human-free environment.” Even the guy who replaces the packages of ingredients in the machine wears a pair of latex gloves, like a dental hygienist. That’s one thing nice about ordering a product made by a robot — you don’t have to worry about whether it’s washed its hands. The worst that can happen is that it might have a little WD-40 on it. Here’s a link to another company video that’s been Americanized with hip, jazzy background music and a male announcer who sounds eerily like actor Troy McClure of the Simpsons. It’s part of the new era of (human-free) retail. Let the good times be dispensed. Would you like genetically modified fries with that? Had lunch yet? 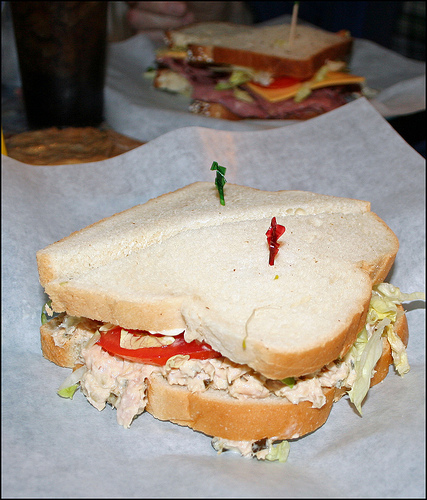 How about a nice big juicy radioactive tuna fish sandwich! Eating the fish is not harmful to humans, researchers have told the Christian Science Monitor, but it may be a good idea to bring a Geiger Counter to your neighborhood sandwich shop just in case. Lack of curiosity can kill the cat, even though for humans ignorance is often bliss. “Small amounts” of cesium-137 and cesium-134 released from Japan’s Fukushima nuclear plant turned up in tunas snagged off the California coast near San Diego last August. That’s four months after the chemicals were released into the Pacific. The Japanese used water to cool the nuclear reactors and millions of gallons of runoff went right into the ocean. Cesium-134 breaks down fairly quickly and ceseium-137 breaks down after a few thousand years, so everything should be back to normal by about 5012. ABC News, covering the tuna story last year, reported: “Japan’s nuclear crisis is an ocean away — unless you’re a tuna, the kind that ends up in cans of tuna fish across the United States. The bluefin tuna already has low levels of natural radioactivity — potassium 40. Levels of this chemical have increased about 3 percent, according to Madigan. No big deal, maybe. But what happens if you eat a tuna fish sandwich right before going through a screening booth at the airport? Will your body light up on screen like a Christmas tree?